In late 2016 I announced that in 2017 FitlabPGH would be joined by a new podcast- Moving2Live. As always things take a little longer than originally planned. However….on August 23 look for a short Moving2Live podcast episode explaining what we are and what you can expect from our weekly podcasts, released every Wednesday. August 23: Introduction– What is Moving2Live all about? Follow Rick (rihoward41) and Brian (@DrGearity) on Twitter and learn about their career paths, as well as advice for working with youth athletes and the science of coaching. Coming in 2017 Moving2Live. 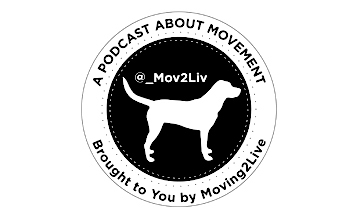 Moving2Live is a podcast about movement and fitness to improve your quality of life and give you information for yourself or clients if you are a movement and fitness professional. Inteviews w be with leading fitness and movement professionals, covering topics suitable for professionals and amateur aficionados. In the meantime check out our sister podcast FitLabPGH.